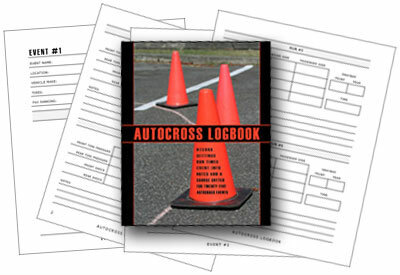 The Autocross Logbook is designed for theautocross or solo competitor. Use it for keeping track of your vehiclesettings, race times and event information. The logbook includessections for twenty five autocross race events and allows you to recorddifferent vehicle settings for up to six runs per event.